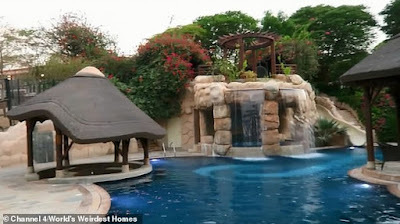 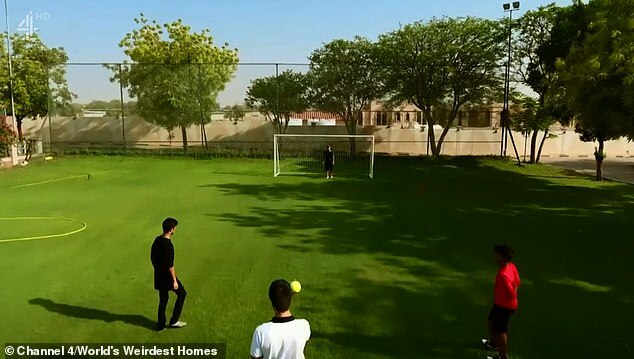 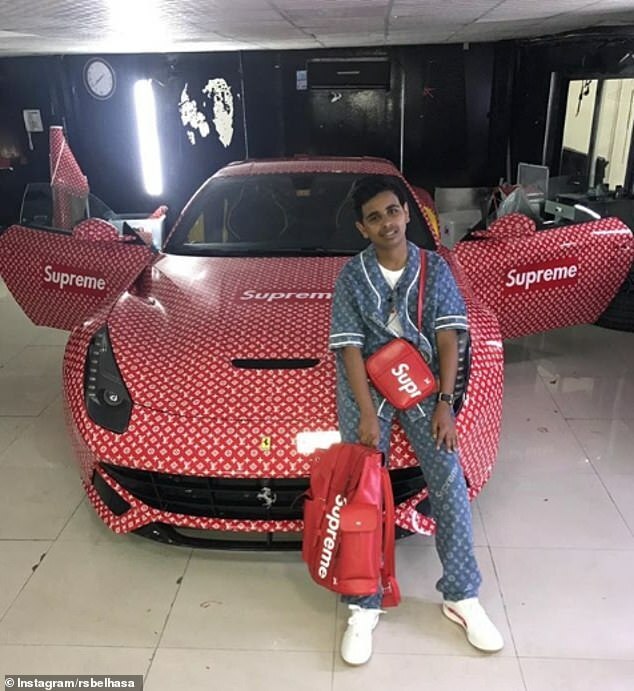 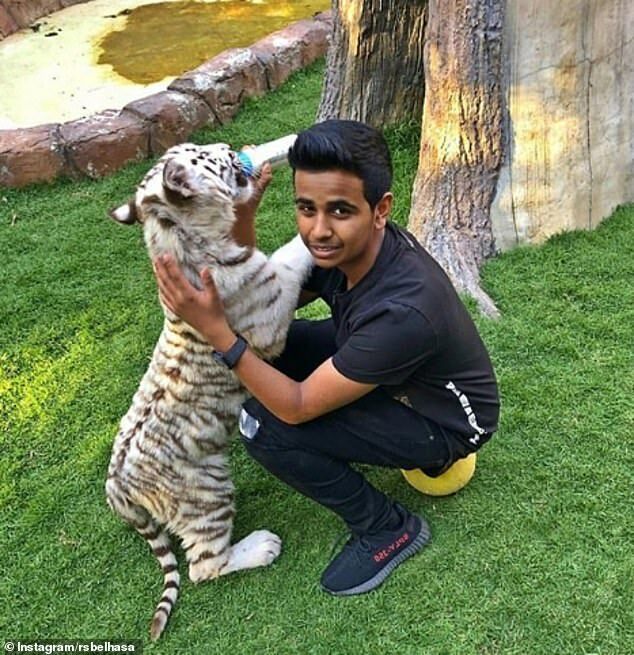 A 16-year-old rich kid with a penchant for limited edition trainers - and money to burn thanks to his billionaire dad - has allowed cameras into his jaw-dropping family home in Dubai. Rashed Saif Belhasa, who also goes by the name 'Money Kicks' on Instagram and boasts 1.5million followers, lives in the UAE with his family in a mansion so vast they use a golf cart to get around the grounds - which includes their own private zoo filled with exotic animals. 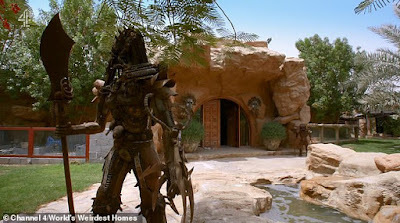 Rashed flaunted his extravagant lifestyle on Channel 4's World's Weirdest Homes on Wednesday night, and told how he plans to follow in his construction magnate father's footsteps by amassing a fortune of his own. 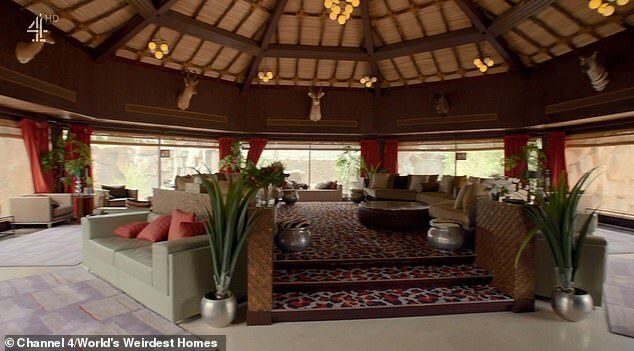 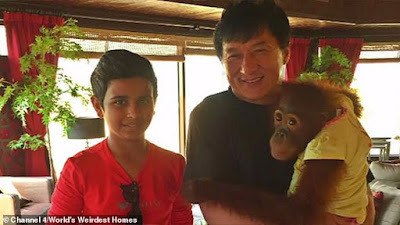 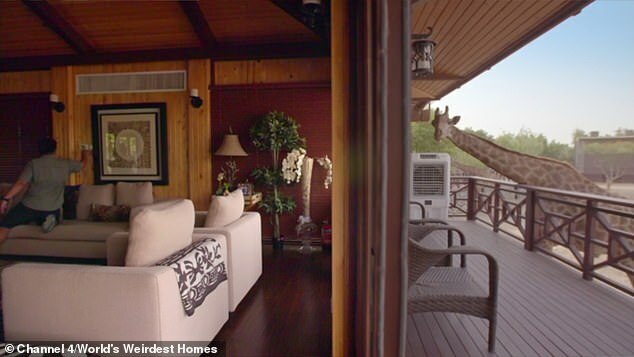 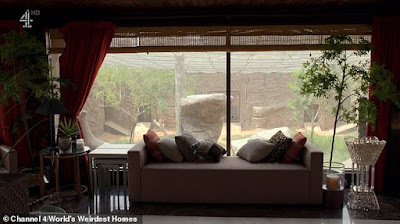 His private zoo, which can be seen from the enormous living room, houses lions, tigers, panthers, leopards, cheetahs, giraffes, and bears; and they receive regular visits from A-List celebrities - some of whom Rashed has named animals after. Money Kicks is the proud owner of a vast shoe collection boasting limited edition Yeezys, Bapes and Air Jordans, all stored in bespoke cases and reported to be worth an estimated $1million (£785,000). The zoo has over 500 exotic animals that are owned by Rashed's father, billionaire UAE businessman Saif Ahmed Belhasa, who started collecting the animals from other private zoos that were neglected. 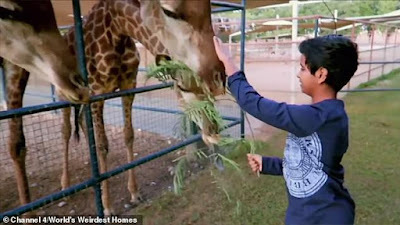 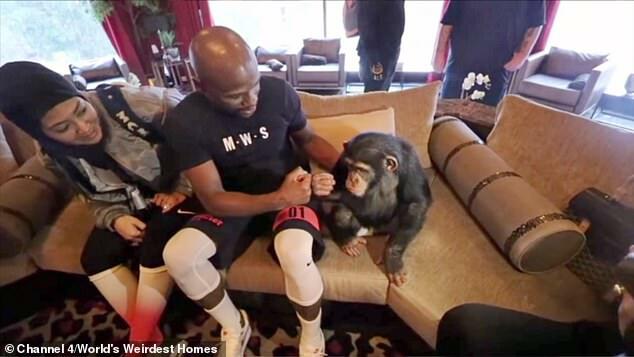 Rashed’s pets have names like Versace the lion, Gucci and Dior the orangutans, Armani the chimp, Fendi, Yeezy, Paris Hilton, Jackie Chan, and a pair of giraffes named Bert and Ernie. 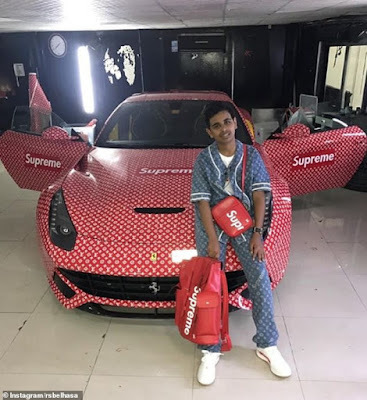 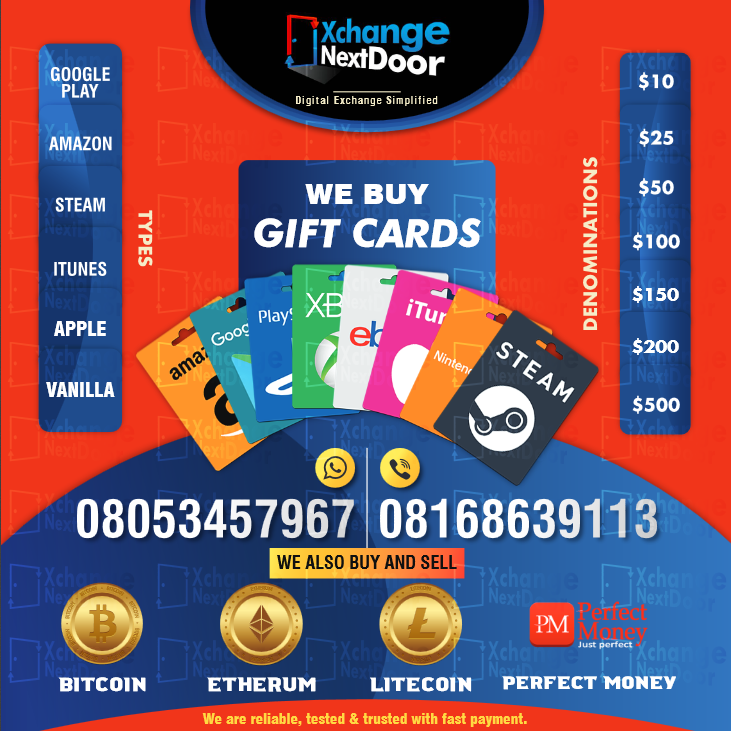 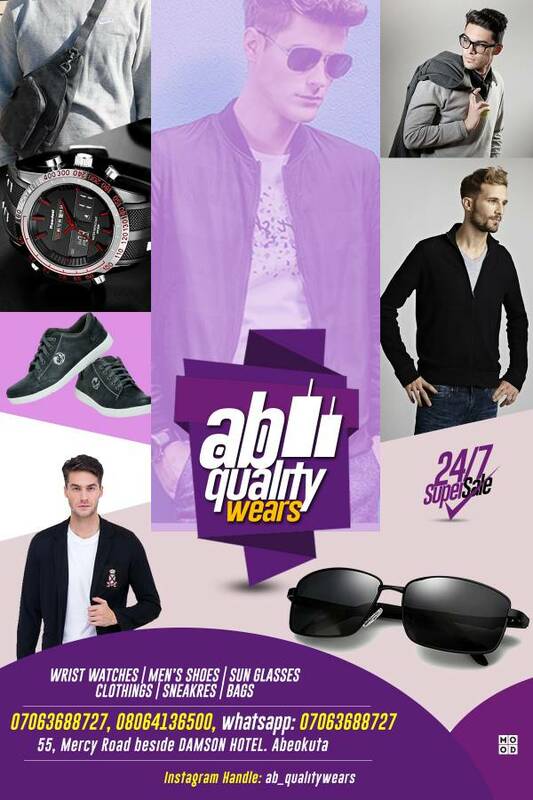 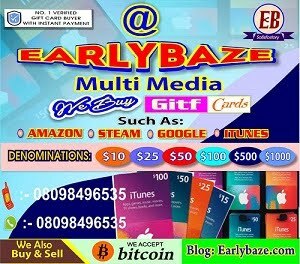 The teenager's YouTube channel and Instagram page showcase his lavish lifestyle, showing off his latest purchases alongside meeting celebrities and sports stars alike. 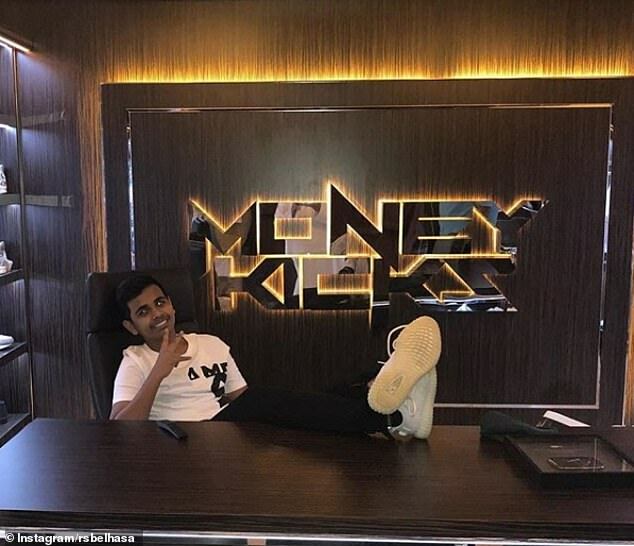 He has an entire room in his house dedicated to his trainer collection which features a pair of trainers worn by footballer Paul Pogba, one of only 14 pairs made.